Okay, so I know a lot of you are going to think it’s mad that a 23 year old is using anti-ageing products, but it’s so important to treat your skin right from a young age! 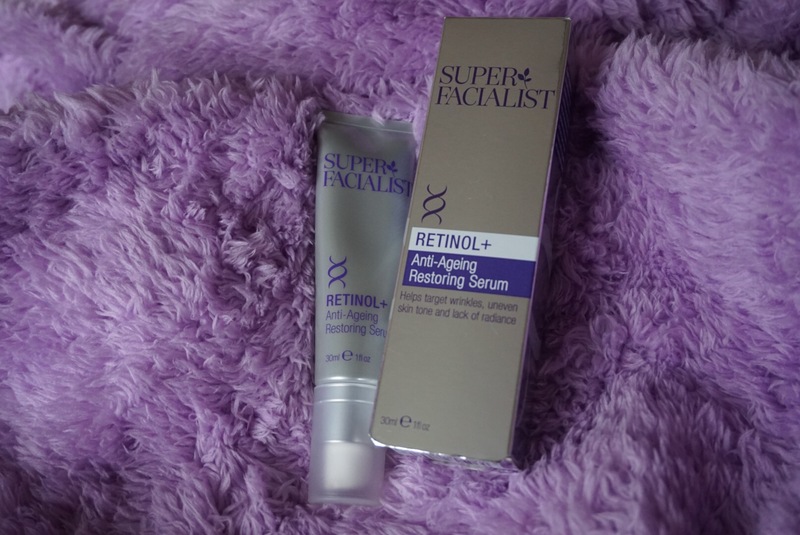 One of my favourite products to reduce the signs of ageing is the Super Facialist Retinol Restoring Serum. Available from Boots UK (along with the rest of the range), this product has been designed to reduce wrinkles, adjust uneven complexions and add radiance to dull skin. A combination of Retinol, Hyaluronic Acid, a patented Collagen Boosting Active and Vitamin E help to add firmness to tired skin – all ingredients which are renowned for halting the signs of ageing… without the need for dramatic facial surgery! I personally like to apply this in the evening after cleansing my face, instead of a moisturiser, but the instructions do state that this can also be applied during the daytime… you’re just going to need to apply some SPF while you’re there. The tube itself is quite small, but when you consider the price-tag (£16.99) and the amount of product you’re going to need to apply (pump a pea sized amount onto your finger tips and massage into the skin), this really can’t be grumbled about! It also includes a selection of antioxidants, including Apricot and White Tea, which could be the distinct smell which I can’t quite distinguish… I’ll have a think and let you guys know if I figure that one out! I have a selection of skin products which I’ve been desperate to test and review for you all! I am all about this! I recently just picked up the Clinique Smarty Custom Repair Serum and I am loving it! ← Is the Tarte Shape Tape Concealer worth the hype?